Our seeds this week come from a plant that does not grow in the Sonoran Desert, but it is a shade-loving perennial favorite elsewhere. 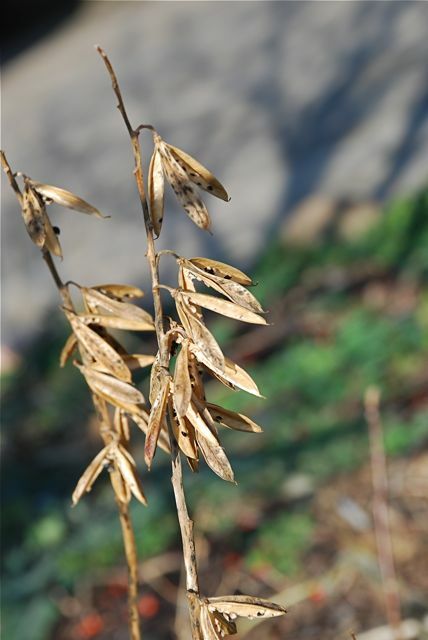 Probably not many people grow them from seeds, which are found in seed pods on the flowering stalks. 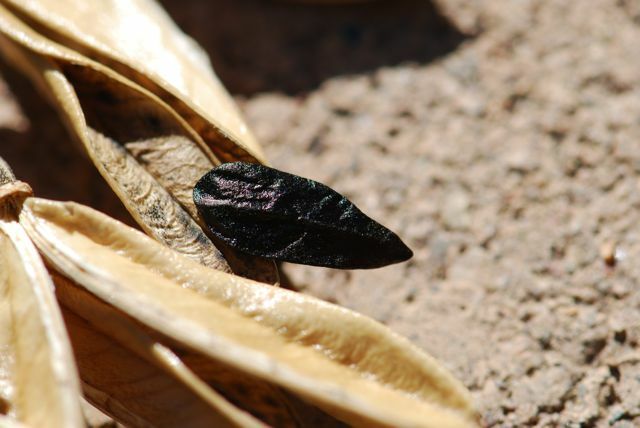 These large, black seeds will produce a new plant, however. Do you know what that plant might be? Taking a wild guess ... hostas?